You'll find plenty of places to visit near Gold Coast: Watersports Guru (in Kingscliff) and Cape Byron Lighthouse (in Byron Bay). Pack the 27th (Thu) with family-friendly diversions at Dreamworld. And it doesn't end there: try out the rides at Sea World Theme Park, enjoy the sand and surf at Burleigh Heads Beach, find something for the whole family at Warner Bros. Movie World, and stroll through Currumbin Wildlife Sanctuary. 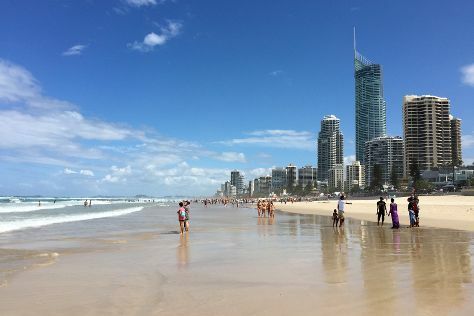 For where to stay, reviews, and more tourist information, use the Gold Coast sightseeing planner. Ubud, Indonesia to Gold Coast is an approximately 12-hour flight. You'll lose 2 hours traveling from Ubud to Gold Coast due to the time zone difference. Plan for little chillier temperatures traveling from Ubud in December, with highs in Gold Coast at 32°C and lows at 22°C. Finish your sightseeing early on the 29th (Sat) so you can drive to Brisbane. When in Brisbane, make a side trip to see Australia Zoo in Beerwah, approximately 1h 35 min away. There's much more to do: let little ones run wild at South Bank Parklands, get great views at Mount Coot-tha Lookout, admire the natural beauty at City Botanic Gardens, and explore and take pictures at Suncorp Stadium. To find traveler tips, where to stay, photos, and tourist information, go to the Brisbane route builder site . You can drive from Gold Coast to Brisbane in an hour. Alternatively, you can take a bus; or take a train. 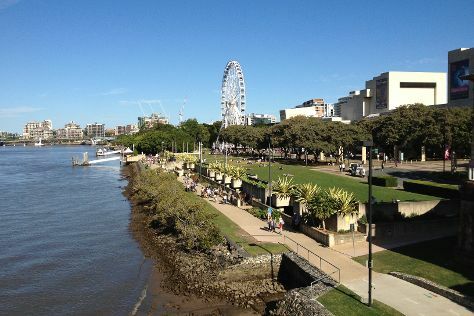 December in Brisbane sees daily highs of 32°C and lows of 23°C at night. On the 3rd (Thu), wrap the sightseeing up by early afternoon so you can travel back home.